Options are binding contracts that give the option buyer the option to sell or buy an underlying asset for a specified price. The price is defined at the time the option is bought. The time that the asset may be bought or sold is either on or before a certain date. This date is also defined at the time the option is bought. The option buyer is not obligated to buy or to sell the underlying asset at all. He or she may choose to or not. That is why it is called an option. However, the option seller is obligated to sell to or buy the underlying asset from the option buyer if he or she chooses to take up that option. The underlying asset in options trading is usually a stock or a futures contract. For example it might be an option on 100 shares of Apple stock or 1 Gold futures contract. For those new to options trading, it can be a difficult concept to grasp at first. Here is an example to put it into perspective. There is a businessman who wants to expand and he is interested in buying a local business that is for sale. However, it will take him about nine months to get the cash together. Because the business is for sale, the seller agrees to a contract where the businessman can buy the business after nine months. This is at an agreed upon price. But for the option of waiting for nine months the businessman will pay 2% of the sale price. This is known as the option premium and it is payable now. If during those nine months the business’ value were to rise, the buying price will still be that agreed up front. Plus the cost of the option of course (the 2% premium). If during the nine months the businessman realizes that the business will be more of a liability than an asset, then he has the right to not buy it. If he chooses not to buy it he will not get his 2% back. But that is all it will have cost him to have the option to buy for that nine months. That is a practical application of options trading specific to a unique asset. But there are also standardized options contracts. These are for assets that are available in plentiful supply and identical. For example the shares or commodities mentioned above. These are listed on an exchange and the options trading we are interested in are these standardised ones. There are two types of options called “puts” and “calls”. A put gives the option holder the ability to sell the underlying asset. This would be at a predetermined price and date. The price is known as the strike price. The date is known as the expiry date. As a put buyer, the trader expects the underlying asset price to fall before the option expires. A call is opposite. It gives the option holder the ability to buy at a determined price within a set time. As a call buyer, the trader expects the asset price go up before the option expires. So who trades the options market? The participants in the options market are people who are either selling puts and calls or the people who are buying puts and calls. A writer is the term given to traders who sell options and holders is the term used to describe those who buy options. If you are a writer of puts or calls then you are bound by contract to either buy or sell. For this you receive and keep the option premium. 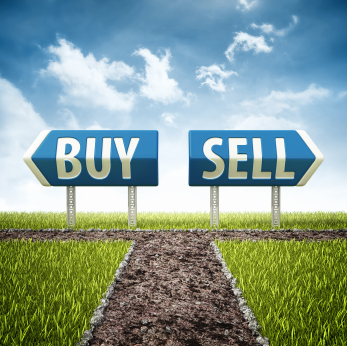 If you are a holder of a put or a call then you can choose whether or not want to buy or sell. But you will have paid the option premium and that will be lost if you choose not to buy. The big downside of options trading is that it involves a risk. Because options trading is speculative in nature, it is recommended that risk capital is used when investing in options simply due to the risk of loss. As we have stated above, that option premium is paid regardless of whether the option is “exercised” or not. In some cases, that can be a large fee, and that is part of the risk with options trading. However, buyers have less risk with options trading than the sellers do! Option writing should only be undertaken by the most experienced of traders. Option writing can, in theory, carry unlimited risk. Here is an example of the profit and loss risk of writing a so called “naked” put..
Options trading is usually used when investors want to hedge or to speculate. Hedging is a way to use options to offset existing portfolio risk. Any loss there can be offset by an increase in value of the options. Speculation is where the bulk of the risk with options trading is involved and it is where the potential for making money is. You are speculating on how an asset will do. Will it be going up in value or down in value? Speculation means that you need to be able to determine if a stock or commodity will go up or down. You also need to be accurate about the time frame and about how much the price will change in order to make money speculating with options.